AIS deliver comprehensive and affordable life insurance plans to individuals and their families. We sell first class plans from reliable healthcare provider networks, allowing you to purchase an individual insurance plan at group rates. Unfortunately, blindness and other types of vision impairment are a common disability in the United States. Many factors, including age and health, can have an impact on a person’s vision. 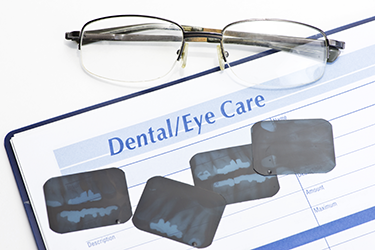 Regular visits to an optometrist are crucial to maintaining healthy vision. Vision insurance should be a part of every individual healthcare plan. Low premiums – great benefits! The most surprising thing about vision insurance is the price. Vision insurance is the among the most inexpensive types of health insurance on the market. It’s an important component of any comprehensive health insurance plan. The services and benefits you receive from an individual vision insurance plan are incredible compared to the low premium payments you make. Call AIS for a free consultation on how you can get the best individual vision coverage. We have several different plans to choose from. We’ll open your eyes to how easy it is to get affordable vision insurance for you and your family. AIS wants to make sure you make the most informed decisions possible when it comes to purchasing individual insurance coverage. We’re here to answer any questions you may have, provide you with free insurance quotes, and get you an insurance plan that provides the coverage you need at a price that fits your budget.